Braven is a company we’re familiar with, seeing that we’ve reviewed several of its portable Bluetooth speakers in the past. Not only do they offer premium ones, but some of them also sport ruggedized constructions to given them that outdoorsy protection. Even though many of its speakers offer us the functionality of charging our devices on-the-go, the BRV-BANK is its first, dedicated portable battery charging solution. Not only does it sport a hefty 6000 mAh battery inside of its body, capable of charging a variety of devices, but it’s been outfitted with that degree of ruggedized protection to make it a versatile companion when you’re camping – or simply in the great outdoors. In standard fashion, the BRV-BANK means serious business when we first feast our eyes on it, mainly because of its hefty size and rubberized chassis. Despite the massive size of the battery pack, it’s warranted in giving it a higher degree of protection, seeing that it’s IPX5 water resistant rating protects it from splashes of water – though, it’s not waterproof in the way it’ll survive submersions. Nevertheless, we’re assured that it can survive minor incursions with water, or slight falls to the ground. 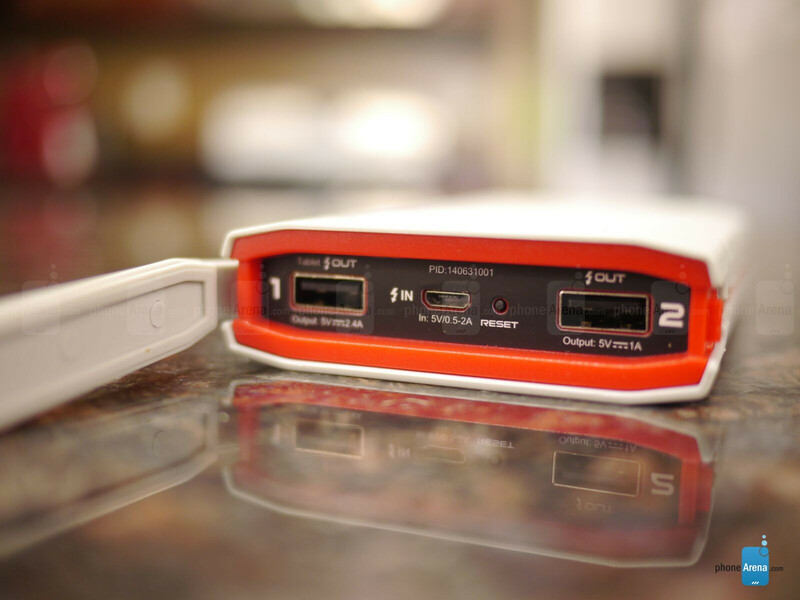 On one side of the BRV-BANK, there’s a thick, rubberized cover that protects the unit’s two full-sized USB ports, microUSB port, and manual reset button. Now, it’s worth noting that the first full-sized USB port is a 1A charging port – whereas the other delivers 2.4A, which is more ideal for charging tablets. 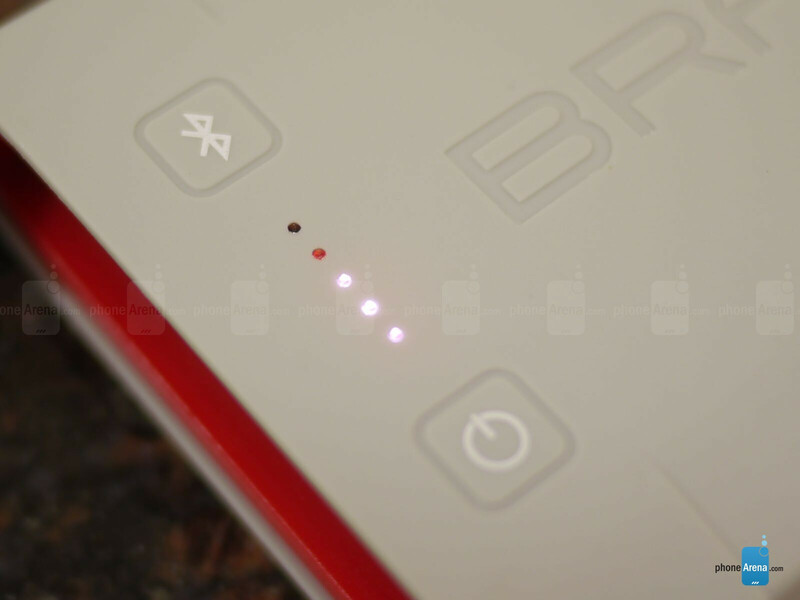 At the façade, the BRAVEN name might be most visible, but there are two buttons and a column of LED lights nearby. Turning on the unit is accomplished by long-pressing the power button, while a single press afterwards lights up the LEDs accordingly to indicate to us how much juice is left in its tank. And of course, the button with the Bluetooth icon enables us to connect it to a smartphone for additional functionality. Specifically, the Braven Remote Battery Monitor app, which is available as a free app for Android and iOS, gives us the power to monitor its battery level, activate each charging port independently, activate its S.O.S. mode, and can even transform it into a handy trip alarm that emits an audible sound if it’s been moved or shaken. Making it one versatile outdoors companion, the packaging contains a ruggedized cloth-wrapped USB charging cable, a hanging lanyard, and a USB flashlight attachment. Needless to say, we appreciate all of these outdoors-centric accessories, but we would’ve preferred to see them all integrated into the BRV-BANK – as opposed to be separate attachments. Basically, it means that we’re required to carry all of them wherever we go, so they’re additional things we need to keep in mind. Getting down to business, the BRV-BANK’s 6000 mAh rechargeable battery is able to easily deliver over 3 full charges to an iPhone 5s. And seeing that there are two full-sized USB ports, we can charge two devices simultaneously – though, the 2.4A port is able to deliver faster charging between the two, obviously. 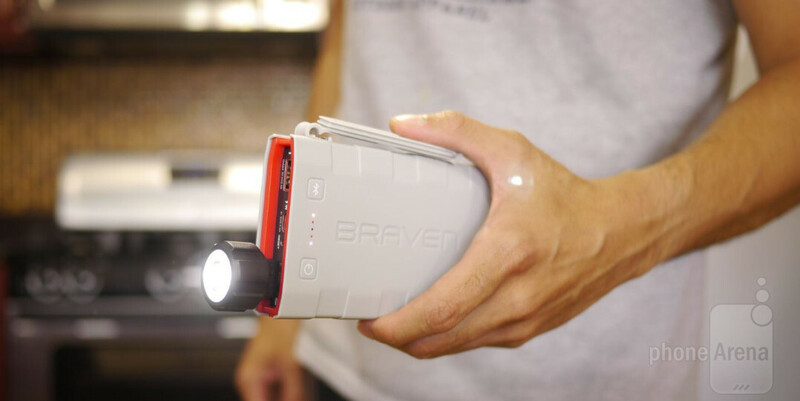 As much as we appreciate how the Braven BRV-BANK is an ideal companion for camping, or just being in the great outdoors, its $129.99 price tag is higher than some other battery packs with higher capacities. 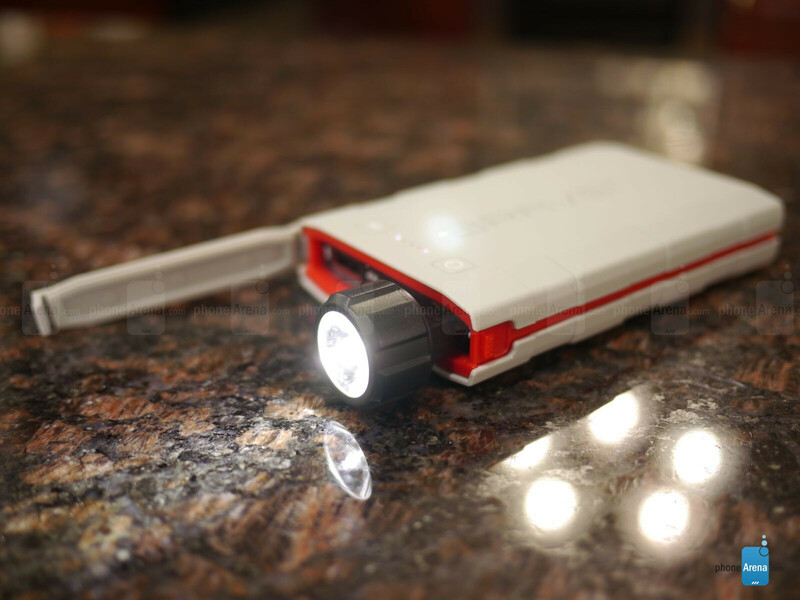 Of course, its rugged construction, flashlight attachment, and Bluetooth connectivity all help to enhance its functionality over other models, but at the end of the day, you’ll be shelling out more money picking it up for just being a battery charger. I'm a huge fan of Braven's speakers, their sound quality is second to none in portables. This however is a bit overpriced for me. I'm sure it follows their amazing build quality but things like the torch addon seem to be trying to make up for the price.